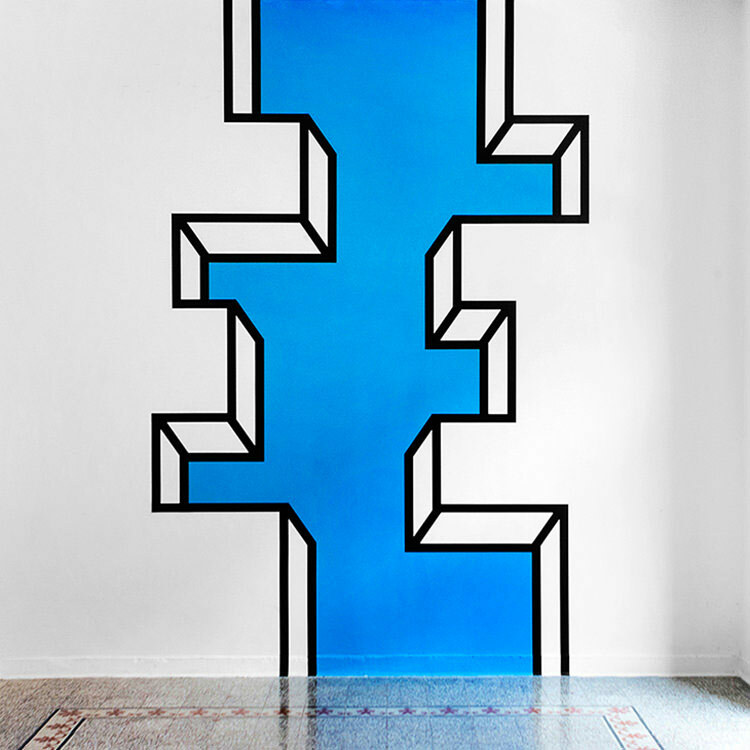 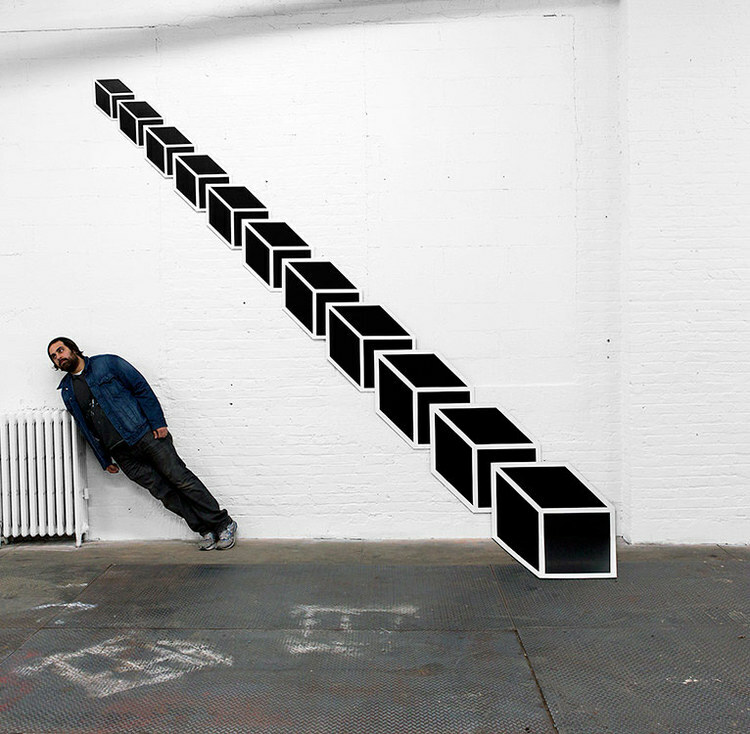 “I am trying to offer people a chance to step into a different New York than they are used to seeing, and in turn, momentarily escape from routine schedules and lives” says Brooklyn based artist Aakash Nihalani*. 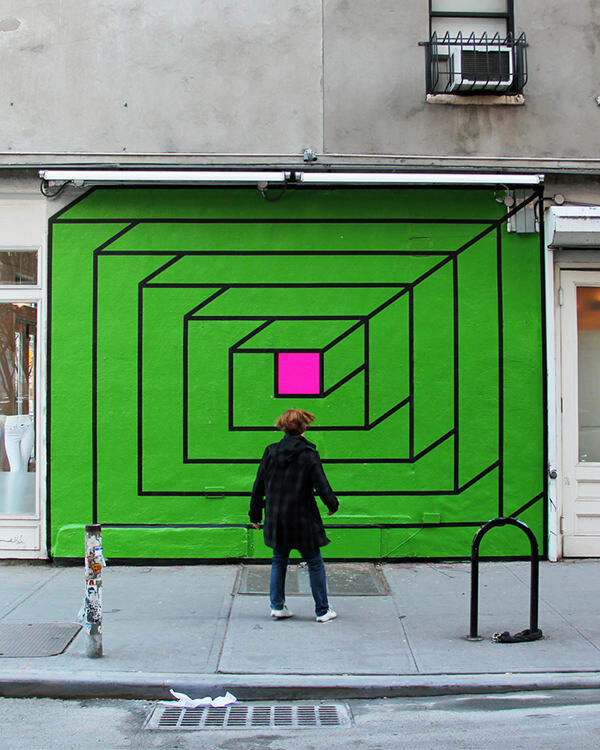 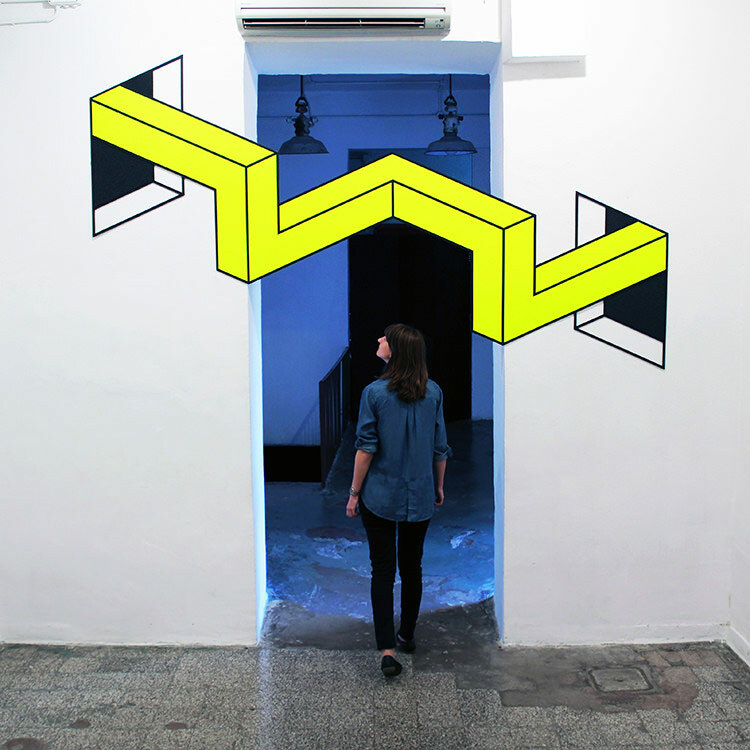 His street art installations, assembled from instantly recognisable strips of fluorescent tape and corrugated board, transform everyday urban landscapes with their clever play of dimension and often humorous perspectives. 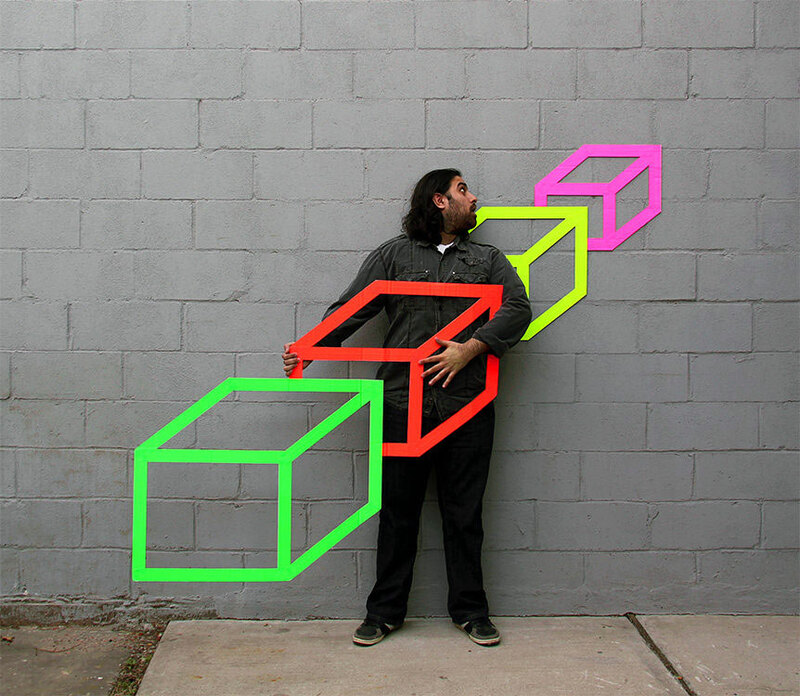 His geometric creations, which are inspired by the endless network of cubes of New York city, encourage the audience to become active participants and engage with the artwork by physically exploring space and viewing his work from several angles. 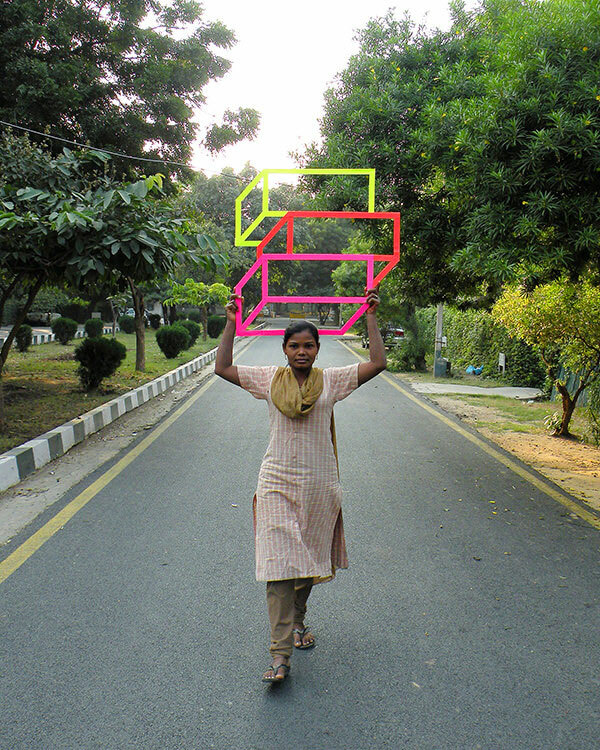 Aakash’s colorful work has been exhibited internationally and featured in a number of publications including: The New York Times, The Times of India, Vogue India and artinfo.com. 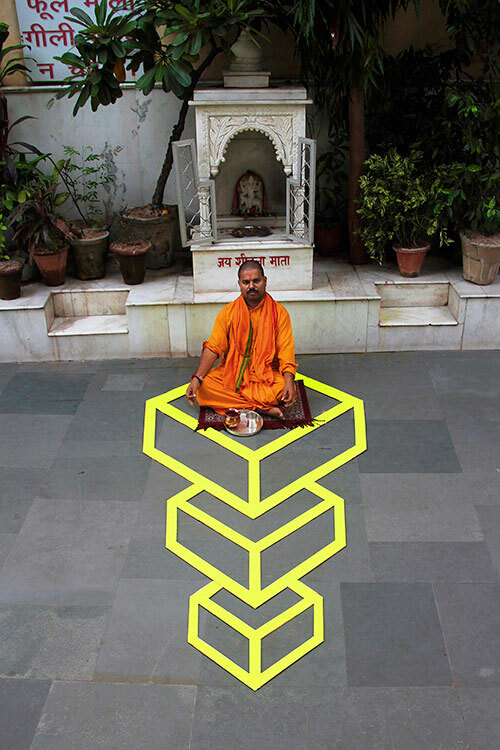 He has been included in solo and group exhibitions throughout New York, Rome, New Delhi and London.